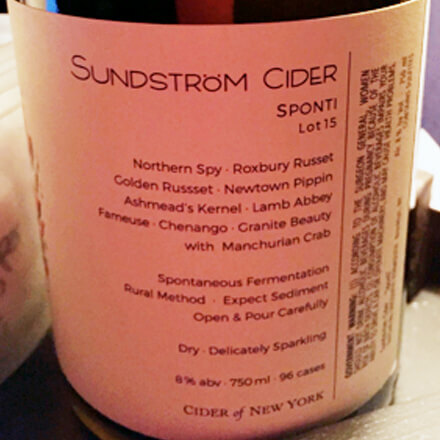 Many USA commercial and small independent ciders lack the personality of Europe’s best. This is shameful as the Northeast has some of the world’s best cider apples. Evidence? Sponti. Culled from a mix of Wayne, Duchess Counties, and Champlain Valley fruit from organic, conventional and “eco apple,” agriculture. Native yeast for initial ferment, inoculant for the second ferment for those bubbles. It’s firm, with a little fruit and earth. The bubble is clean and grippy. The first time I glugged this back with glee was in a little street food restaurant in Rome. I was with my friend, Italian food empress, Elizabeth Minchilli. We were amused when the waiter vigorously shook the bottle into dense clouds to integrate the undisgorged lees. This had become a Roman fad. But it works. Now the wine is on these shores. The second fermentation instigated by riesling and albana must of previous vintages. 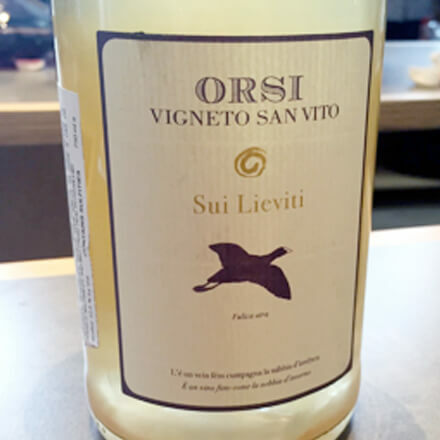 It’s lively, direct, a little bit of an edge and is both juicy and floral.